This is a certified and comprehensive online training course on Agile values and principles and implementation of Agile Framework. The main topics of this Certified Agile training course include defining the Core Agile Artefacts, Holding Sprint Planning meeting, Hosting daily Agile, Iterating the Product backlog, Planning a product delivery road map, Creating and linking user personas. It further trains you on INVEST and SMART frameworks, Prioritisation techniques, MoSCoW, team Work Establishment and Manage and reduces External dependencies. 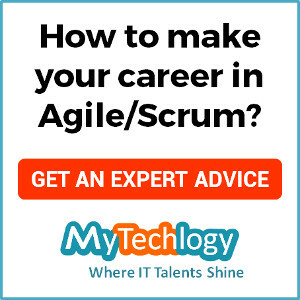 Why take Agile Training Course? Agile Framework and Agile principles are the most professional and commonly used techniques in every IT company in all Projects. This Agile training course will help you to provide in-depth knowledge & ensure you can implement Agile methodology in your company.